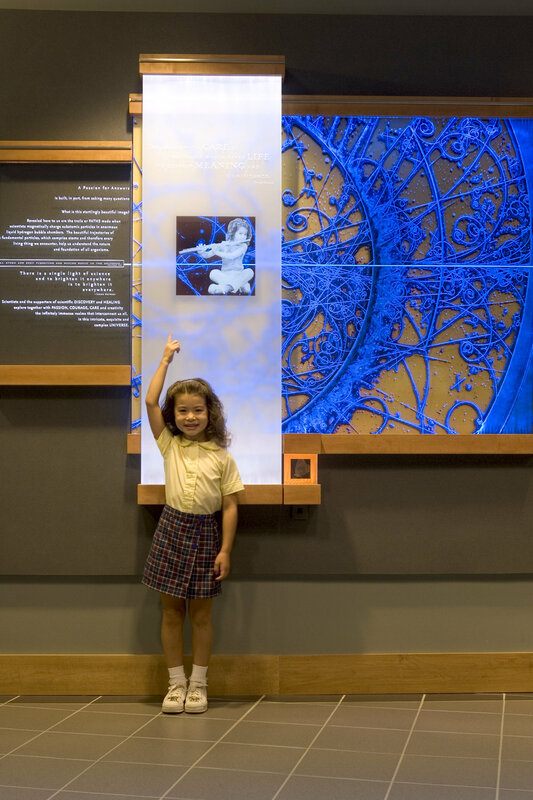 This first-ever computer-programmed and sensor-interactive donor wall at the Columbus Children's Research Institute celebrates donors whose names are displayed as a connecting path of trailblazers between science and the child. 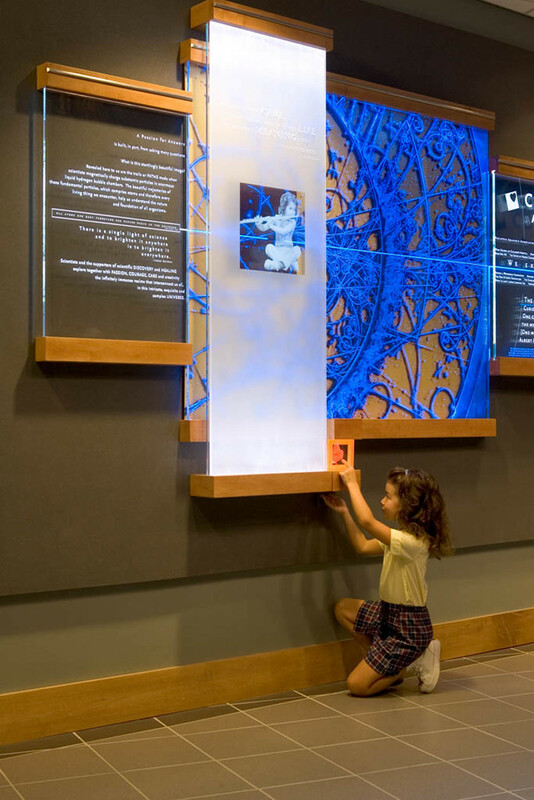 A brilliantly designed and computer-driven LED lighting system illuminates the 26-foot-wide curving mural with an interactive and progressively pulsing light that follows the flow of foot traffic in the lobby. Connecting all the artistic elements and symbols of science and generosity is a beautiful and "musical" trajectory of subatomic particles in liquid hydrogen emanating from the flute of a small child calling the scientists to their work.